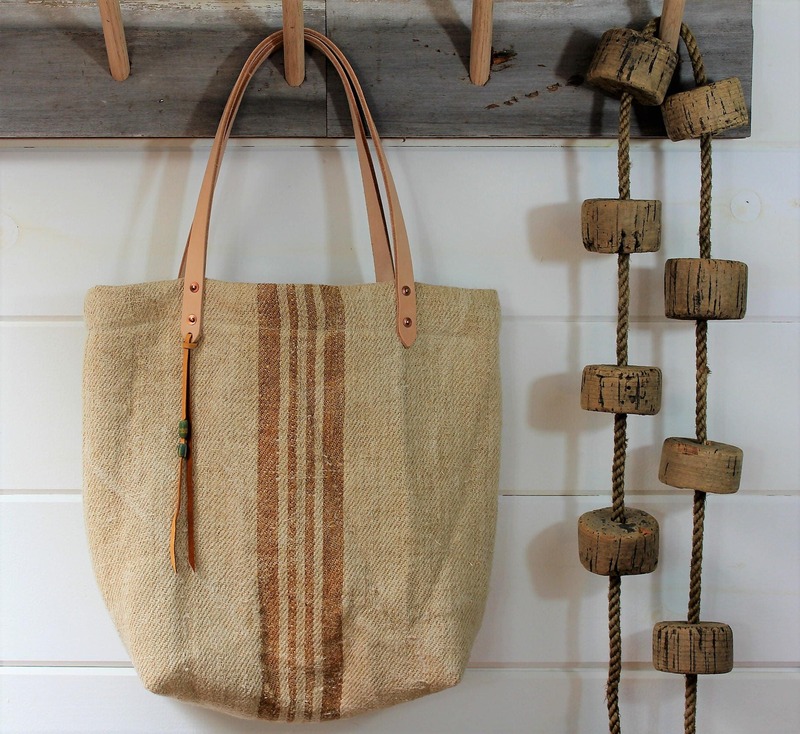 The fabric used for this tote is vintage Grain Sack cloth from the 1800s. The fabric is in perfect condition with no stains or holes as it was never used. The grain sack is from Vienna Austria. 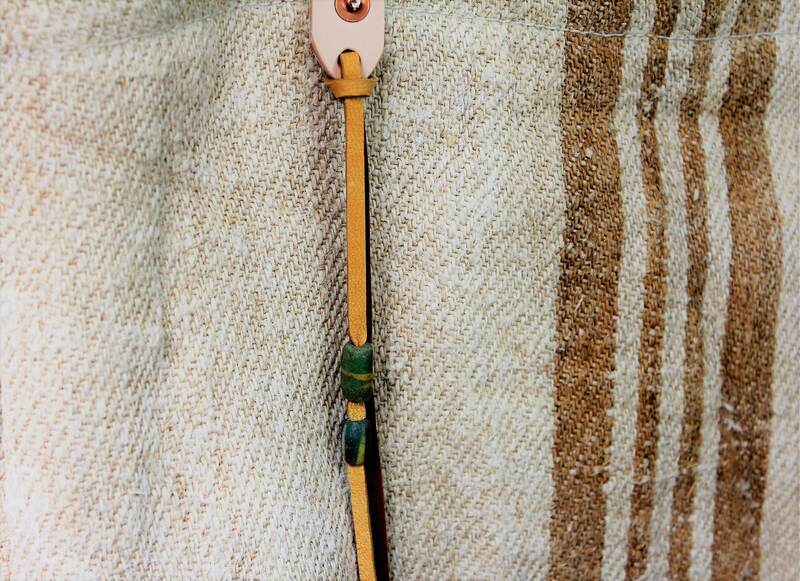 The fabric is a heavy hemp linen and has a nice heavy twill weave. 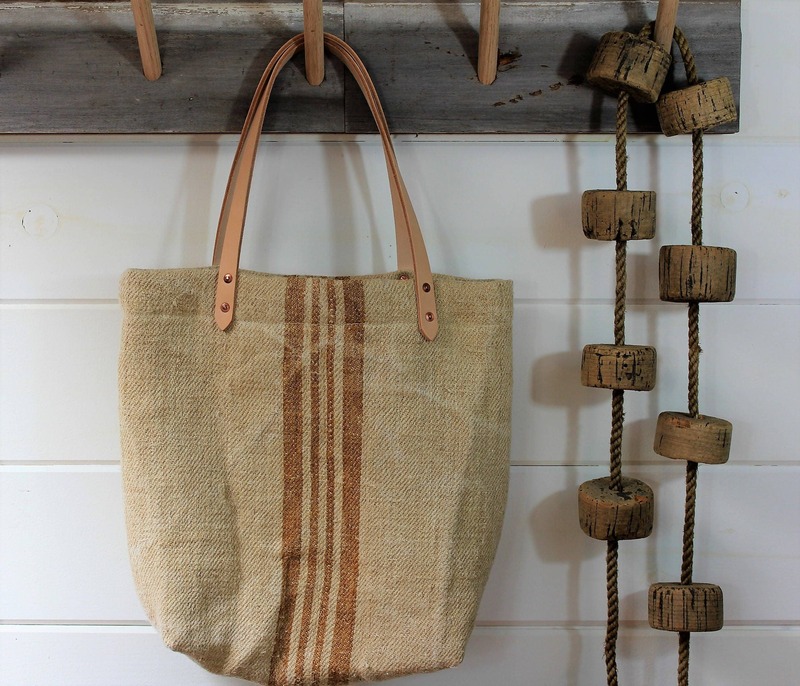 The fabric is a warm natural color with a beautiful tan stripe running down the center. 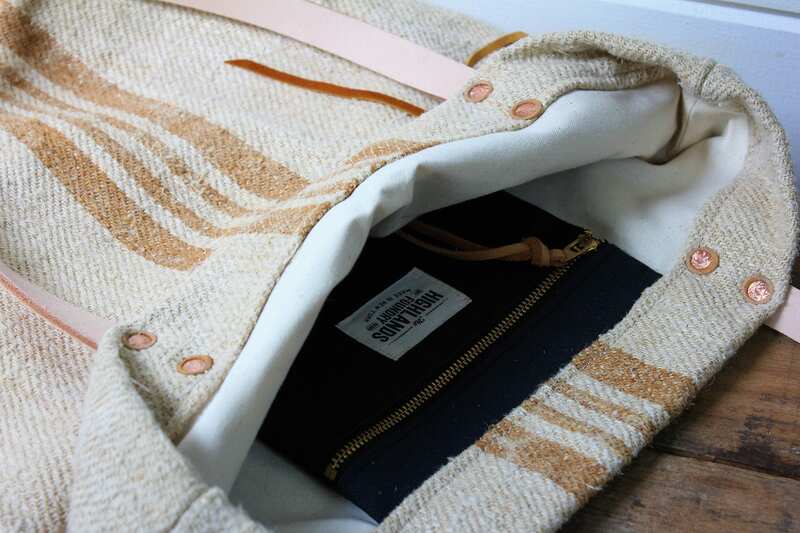 The bag is fully lined with natural canvas cloth. 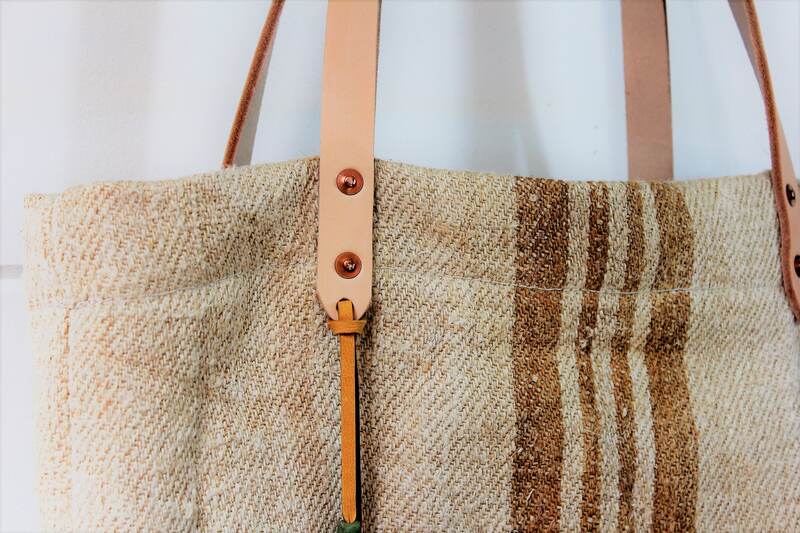 There is also a great Deerskin leather + African bead tassel on the fron of the leather strap of the tote. 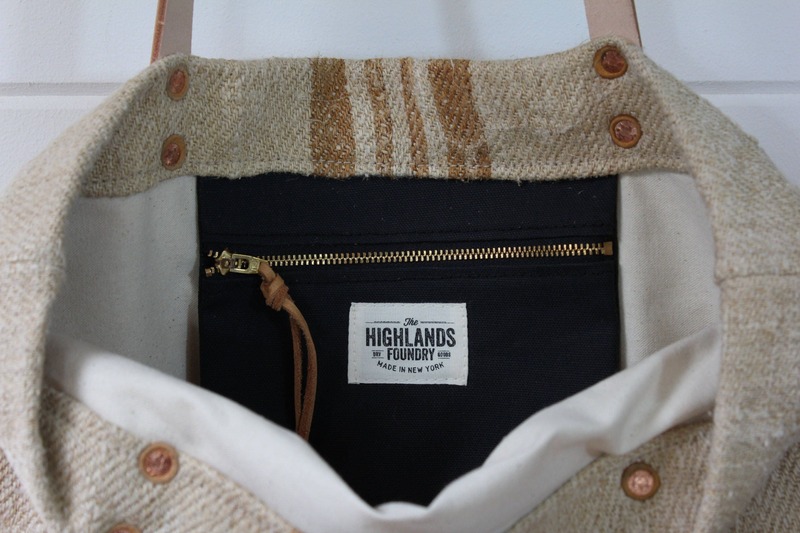 There is an interior pocket made with black cotton twill fabric and has a zipper closure.